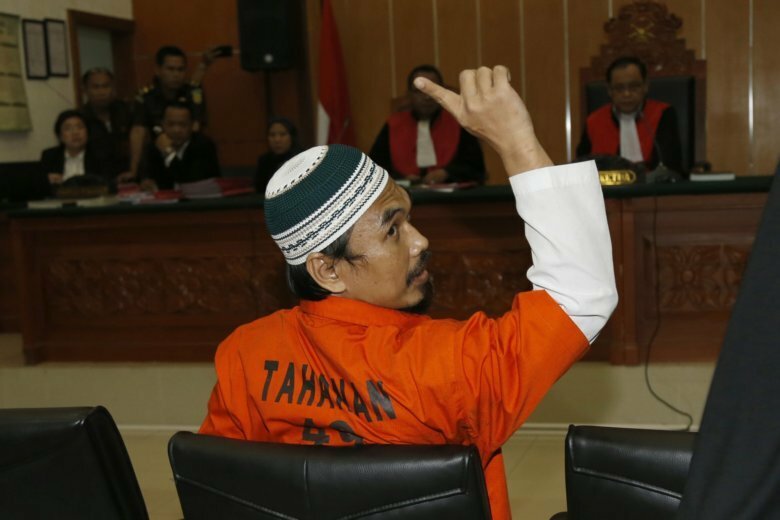 JAKARTA, Indonesia (AP) — An Indonesian court sentenced an Islamic militant on Thursday to 11 years in prison after finding him guilty of conducting training in preparation for a terrorist attack. Wawan was accused of having provoked a riot in May at a high-security police detention center in which six officers were killed by Islamic inmates who took control of part of the prison near Indonesia’s capital. One militant was also killed. A week later, four sword-wielding men who allegedly belonged to Jemaah Anshorut Daulah attacked a police headquarters in Pekanbaru and were fatally shot by police. A fifth man who drove their vehicle was arrested while trying to escape. One officer died and two others were injured.